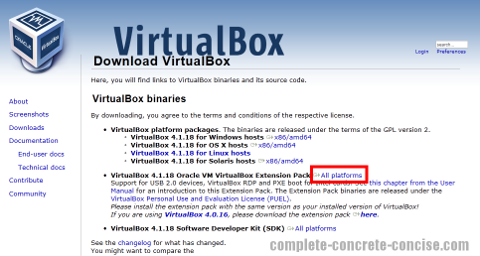 These instructions are for VirtualBox 4.1.18 running on Windows 7 with Service Pack 1 with Ubuntu 12.04 (running the Unity Interface) as the guest OS. I believe the instructions are the same (or very similar) regardless of which host OS and guest OS combination you are running, but I make no guarantee. 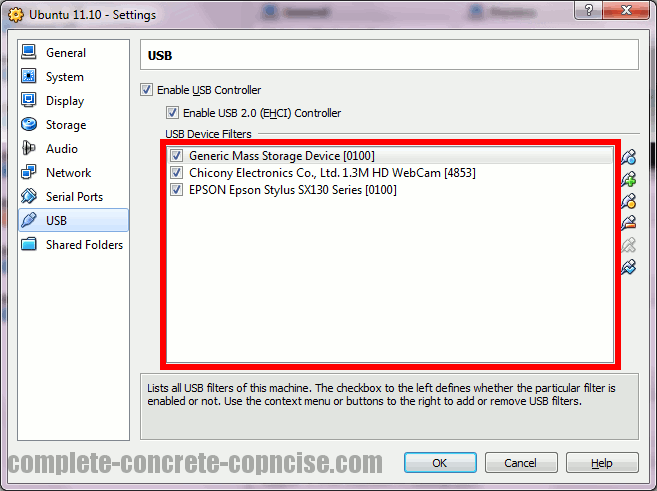 Sometimes you want to (or need to) directly access a USB device, like a memory stick, or a printer, or camera. Normally, VirtualBox does not provide access to these devices, however, it is possible to allow the guest OS to directly access the USB device. 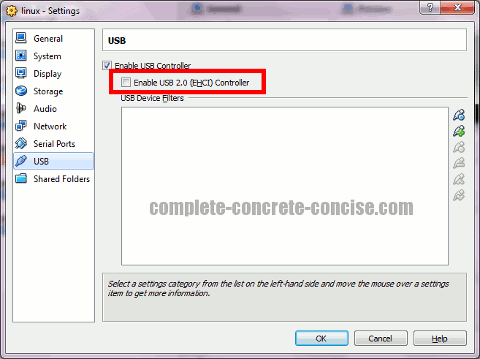 NOTE: when a USB device is used by VirtualBox, the device will no longer be available or visible to the host operating system when the guest OS is running. This means that if you enable access to your USB printer in VirtualBox, then the USB printer will no longer be available for use in your host OS. 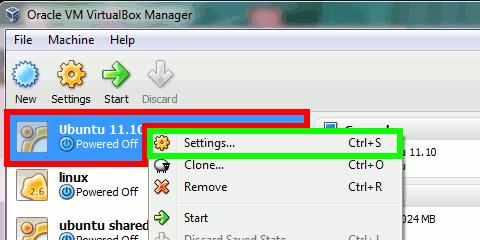 This is not as bad as it seems, when you shut down your VirtualBox session, the USB device will be returned to your OS. I don’t think it is absolutely necessary to install this, but if you don’t you will be using the slower USB 1 interface. 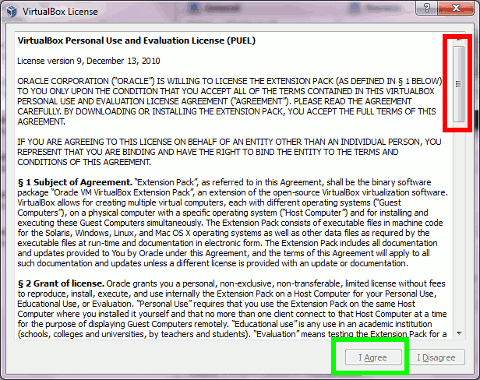 Installing this extension pack (which is different from the Guest Additions) will enable USB 2 support. 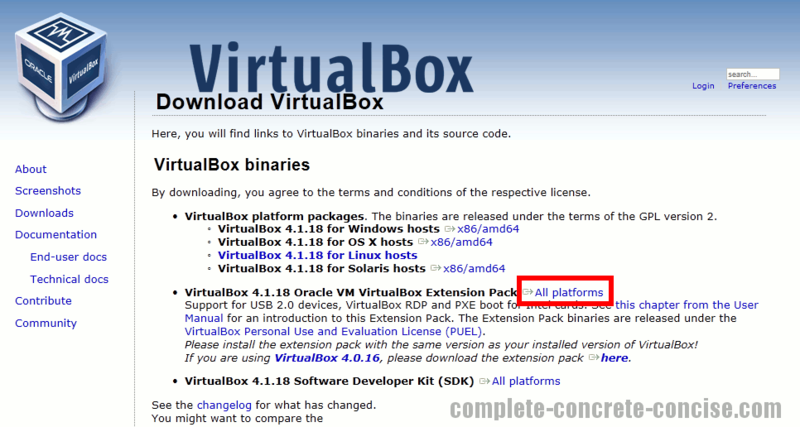 1) Go to the VirtualBox Downloads page. It can be found here. 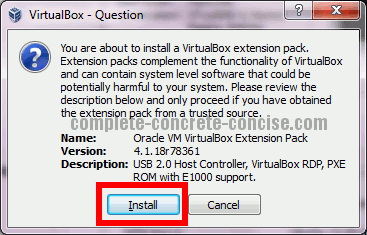 VirtualBox will then proceed to install the extensions pack. This will take a few minutes. 1) Plug in the USB device you want to share. Let it be detected and recognized by Windows. NOTE: it is very likely your list of devices will be different from this one. Alternately, you can press Alt + Ins to bring up the list of USB devices attached to your computer. 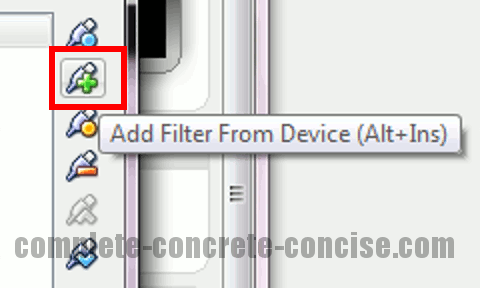 NOTE: if you use the keyboard shortcut Alt + Ins, the menu will appear where your mouse cursor is on the screen. 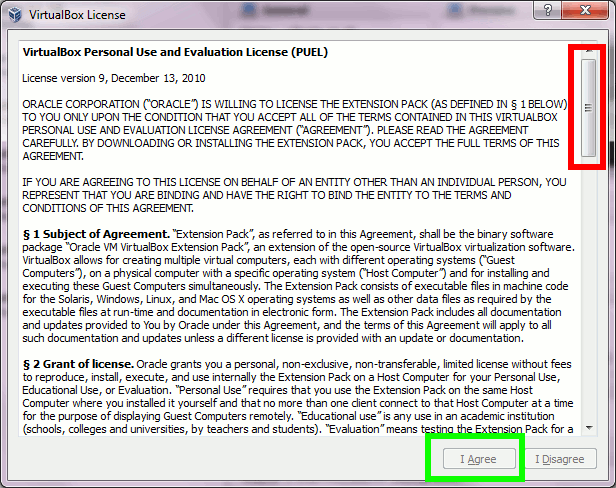 NOTE: sometimes during this process, the VirtualBox machine will stop responding. It is safe (as far as I can tell because that is what I do) to kill the virtual machine and restart it. 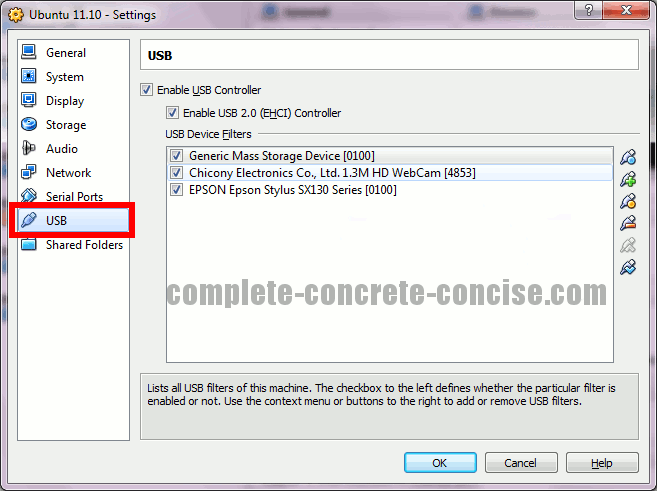 When you log into your guest OS, the USB device will be attached to it. NOTE: it may not be obvious or easy to find where the USB device is attached. 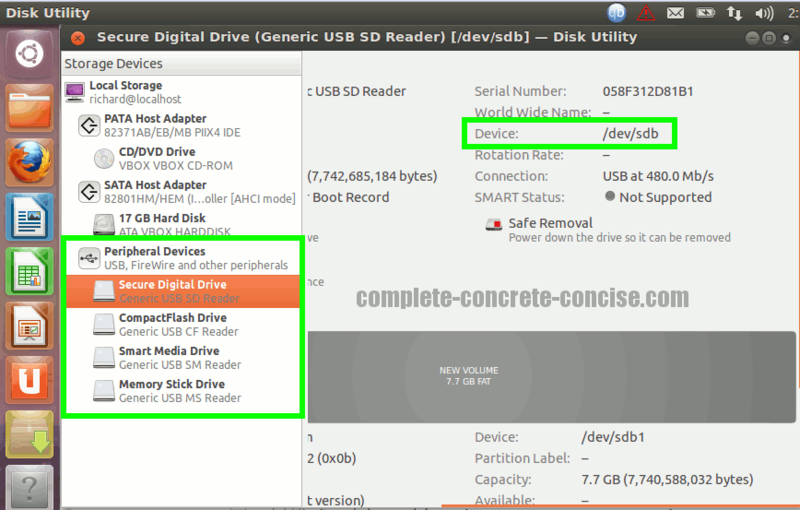 In the image above you can see several attached drive locations. These are the slots in a card reader I had attached to the computer. If you have attached a different USB device (printer, scanner, camera, etc), the guest OS (in this case Linux) may have limited or no support for the device. I want to forward usb from linux host to windows guest. How can I forward devices that cannot be recognized by the guest OS, just grant hardware access? It has been a few years since I have used VirtualBox (mostly because I have found the performance became quite unbearable for my tastes). Nevertheless, I never ran Windows as a guest on a Linux machine. My best guess is: as long as the Linux system can pick up the USB device (even if it can’t use it), you should be able to forward it to the Windows guest. When you do this, the USB device is no longer available to the host OS and is used by the guest OS. As I mentioned at the start, it has been many years since I’ve used VirtualBox, so things may have changed (I don’t think so, but … I make no promises).